History – Crane Construction Company, LLC. Crane was founded by Morton J. Crane during the late 1940’s in Chicago. 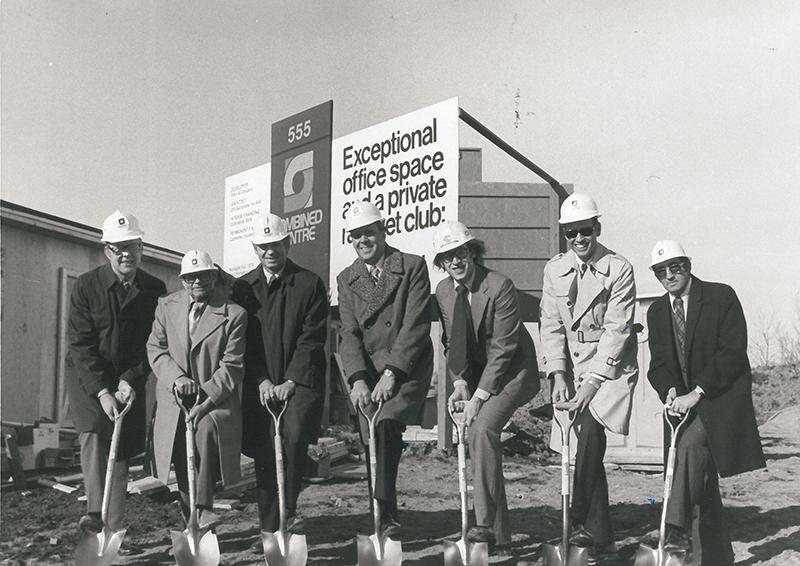 Over the next 30 years Mort grew the business into one of the most prominent high-rise residential construction companies in the Midwest. By the 1970’s Crane Construction employed more than 300 people, erecting some of the most well-known buildings in Chicago and other major cities across the country including Las Vegas, New Orleans and Detroit. 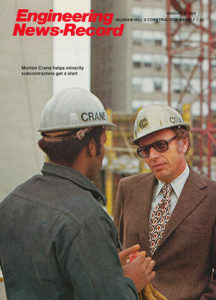 In 1979, Mort transitioned the business to his son Jeffrey D. Crane. Jeff, who earned both a degree in civil engineering at the University of Illinois and an MBA from Northwestern University, worked full time with his father while finishing business school. He started as a Project Manager and later became General Superintendent of Field Operations before taking over as President of Crane. 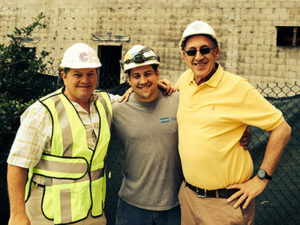 Jeff has fond memories of visiting job sites with his father, riding up outside hoists and watching the construction process unfold. One project he remembers observing was a candy manufacturing company that was going through a building addition. Fittingly, he went on to oversee subsequent phases of that project years later. For the next 15 years, Jeff led Crane, building hundreds of successful projects including multi-family residential, large commercial office buildings as well as industrial developments and hotels. Hands-on engagement of the principals with every project to ensure the highest levels of experience, consistency and detail. A collaborative, team-oriented approach from the earliest stages of a project to achieve the most efficient, cost-effective outcome for the client. In order to maintain these philosophies, the partners approached the business from the perspective that one less job is better than one too many. A conscious decision was made to limit the number of projects the company would take on each year, creating a culture where client satisfaction took precedence over rapid growth. The new partnership also diversified the company’s client base and opened the business up to other markets including national retail, restaurants and entertainment venues. Those guiding philosophies established over two decades ago remain the foundation of Crane’s business model today. Crane employs 38 people with offices in suburban Chicago and Phoenix. Many of Crane’s traveling field personnel are based across the country; from Florida to California and parts in between.